The summer wedding season in Spain runs from the beginning of April through to the end of October, offering months of abundant sunshine for the perfect destination wedding overseas. Even in the depths of winter, the temperatures on the Costa del Sol can often mimic those of a sunny English spring day (as I pen this article on the first week of February, it’s a balmy 18 degrees and blue skies whilst much of northern Europe is covered in snow!). But here at Sunshine Weddings we prefer to work with bridal couples who wish to plan their wedding day for the summer season months. This timespan actually covers seven months in total, offering numerous possibilities for unique and tailor-made celebration, across our impressive range of luxury wedding venues in Mallorca and southern Spain. And for that reason we would definitely recommend booking your wedding venue for a date between April and October; it’s just a much safer bet. Weddings booked in the off-peak months of April, May and June benefit from pleasant temperatures and increasingly long and light-filled days, with Summer Solstice in June meaning a rather tardy sunset of 9.42pm! 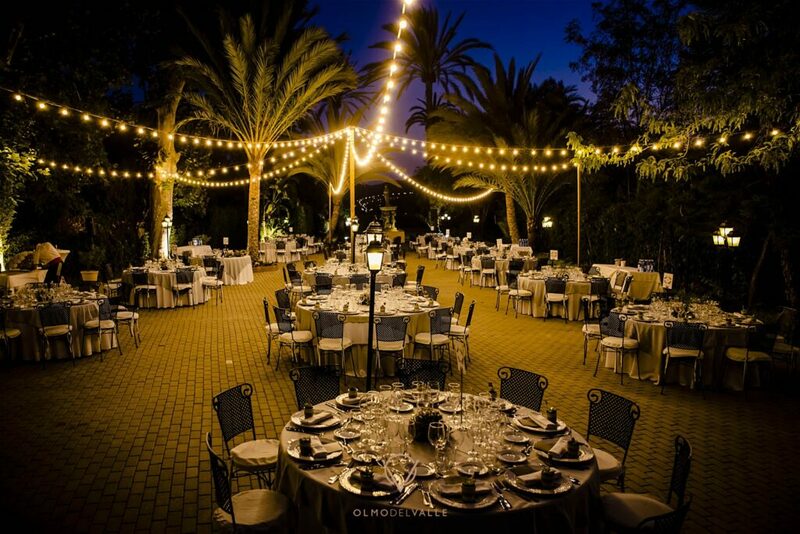 There’s no more romantic a way to celebrate the run-up to your wedding than eating al fresco under a star-strewn sky. 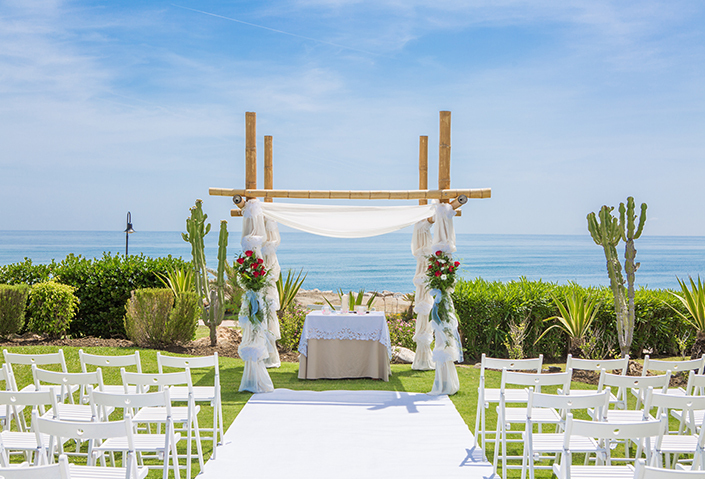 April, May, June and October are also typically the most cost-effective months to book a summer season destination wedding in southern Spain or Mallorca (depending, of course, on when Easter falls). Flights and accommodation can prove extremely cost-effective, making your wedding budget – and that of your guests – stretch further. However, timing will depend not only on the bridal couple’s preferences – and career commitments – but perhaps also those of the wedding party. If a couple would like young children to be a key part of the ceremony, then the school holiday months of July and August will be top choice for their Big Day. Ultimately though, every month has plenty of advantages, so whichever part of the summer season you opt for, you’re guaranteed to generate smiles all round. Whilst April, May, June and October also make for fewer tourists on the Spanish beaches and in the luxury resorts, the superb weather of July and August brings total relaxation. You’d be shocked to experience even light rainfall at this time of year! Wedding guests can sleep in later and enjoy long, leisurely mornings in the sunshine, breakfasts akin to brunches, dips in the pool, potentially even a siesta – all before the typically later height of summer wedding ceremonies begin! And then along comes September offering up gentle breezes and a welcoming (but not too large!) dip in temperatures, whilst still allowing your guests to feel like they are on holiday in short sleeves and sundresses. Once again, flight and accommodation prices are more affordable, and resorts less busy making for plenty of space to enjoy the stunning scenery and facilities on the day of – and the days surrounding – the main event. The best thing about all of this is you now have the perfect excuse to fly over for a long weekend… or two to experience your dream locations in all of their splendour! Last but certainly not least, October brings its own seasonal delights. This month has proven popular with locals when it comes to tying the knot; the reason being a very pleasant daytime temperature which is warm enough for T-shirts and shorts and strolls on the beach, and even less tourists, making for slightly more competitive costs than the month before. Summer season weddings in Spain really offer so much diversity. Add to that the wonderful climate and scenery, and it’s clear why so many couples choose to come here for their fairy-tale wedding.